Home › Blog › What's for Supper on Wednesday? What’s for Supper on Wednesday? What’s for supper on a Wednesday? Have a seat at the one and only the Niagara-on-the-Lake Supper Market. Gourmet food trucks, wine and beer all with local flavour! There is usually live music as well. 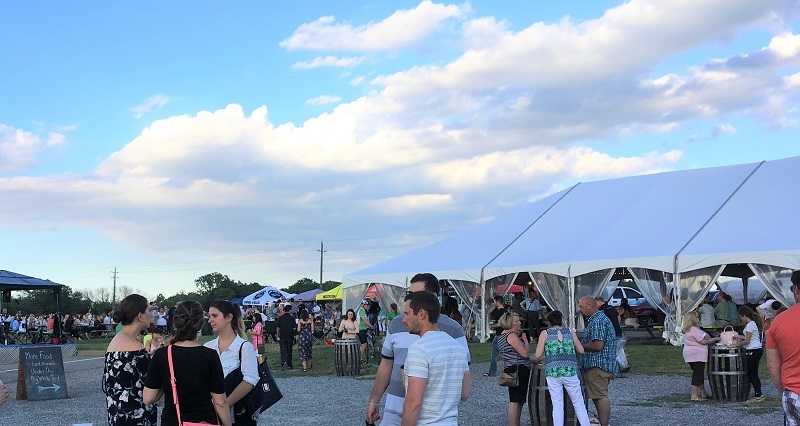 Located in the field across the street from Jackson-Triggs Winery at 411 Niagara Stone Road – look for the big white tent – Wednesdays 4:30 to 9:00 PM until September 19th. Get the latest update at marketatthevillage. At the same location on Saturdays, there is a lovely farmer’s market from 8:00 AM to 1:00 PM. Niagara-on-the-Lake has lots of great experiences for you to discover, book your stay today at one of our beautiful bed and breakfast’s, inns or vacation rentals at bookyourstay.ca.